Austria, Vienna. Albrecht III, AD 1358 to 1395. Silver Pfennig. Size : 14.6 x 15.5 mm. Weight : 0.82 grams. 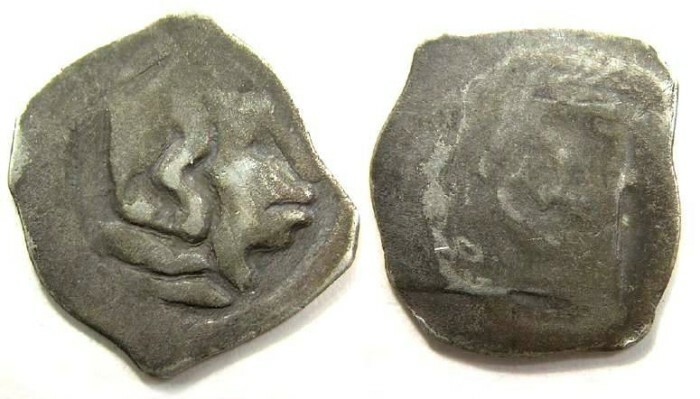 Obverse : This is normally described as a Head with long curls, but I believe the curles are actually part of a draped headdress.